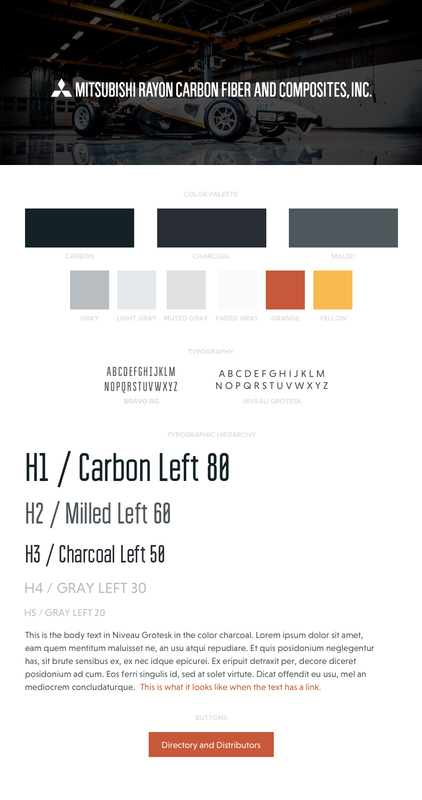 Bringing together two divisions through one sleek redesign. 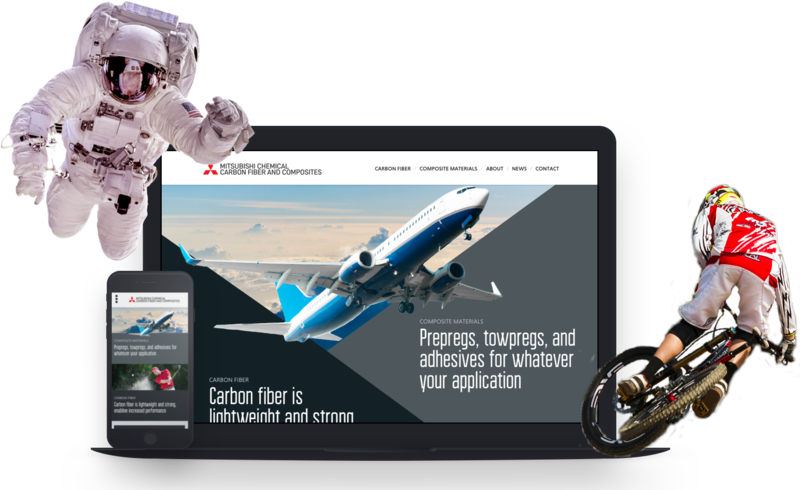 Big changes were in store for the Carbon Fiber and Composites divisions of Mitsubishi. An updated website was long overdue as it was, but with a name change coming in upcoming months, a deadline was to get a new site up and running. 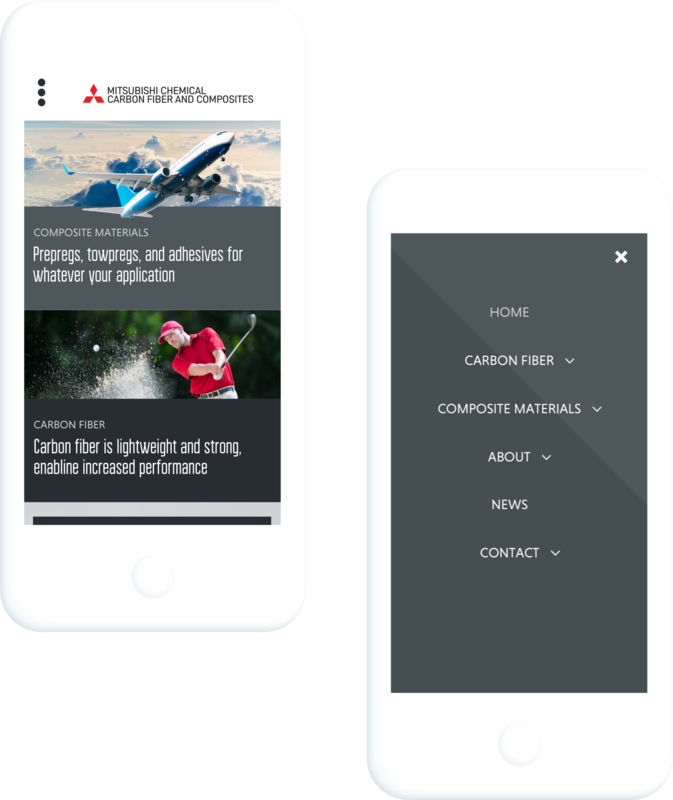 In came Three29 to help bring their site into a new era. Small in appearance, big in features. When we kicked off our discovery meeting, we learned a lot about the two divisions. The purpose of the site was to become a better sales tool. This meant both sales professionals and customers could get access to the right technical information as quickly as possible. 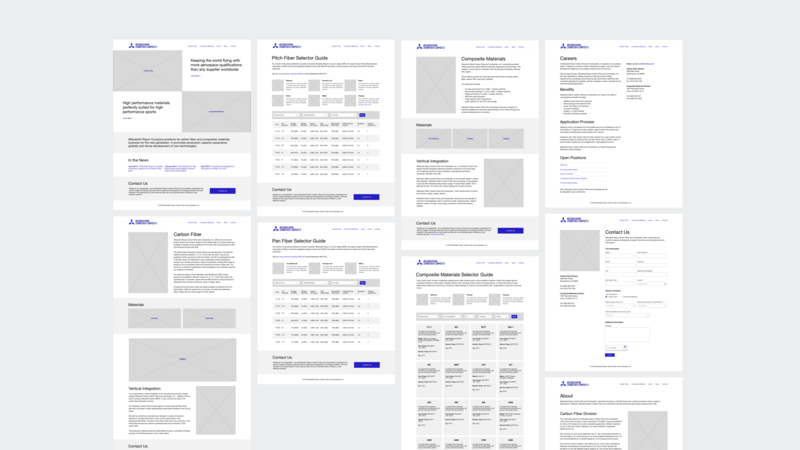 Keeping their goals in mind allowed us to flush out wireframes that would lay out the site to intuitively guide the user in the right direction. 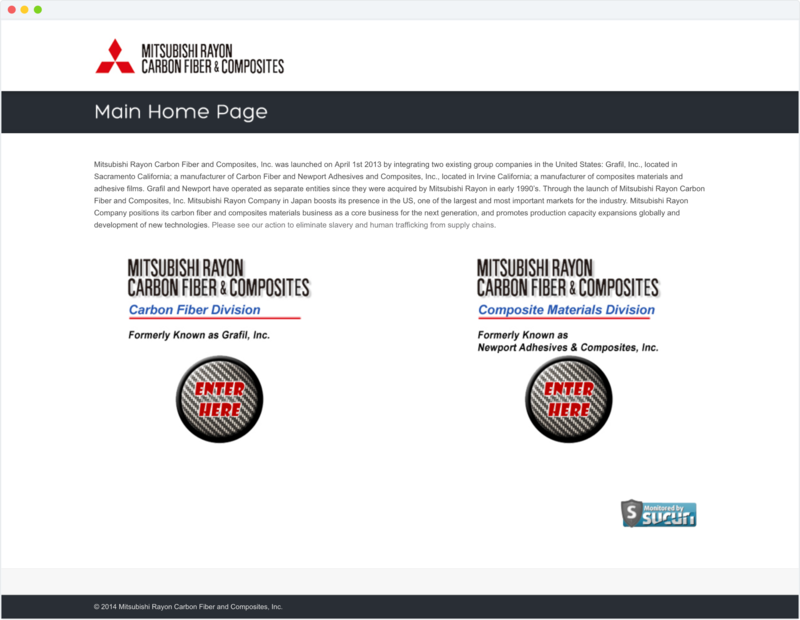 The homepage worked two ways: setting up user pathways to each division and qualifying the company as a whole.